Malcolm X was assassinated on February 21, 1965. This exhibition featuring materials from the James E. Campbell Collection (Avery Research Center, College of Charleston) and from the private collection of Imam Hakim Abdul-Ali, commemorates the life and legacy of Malcolm X. 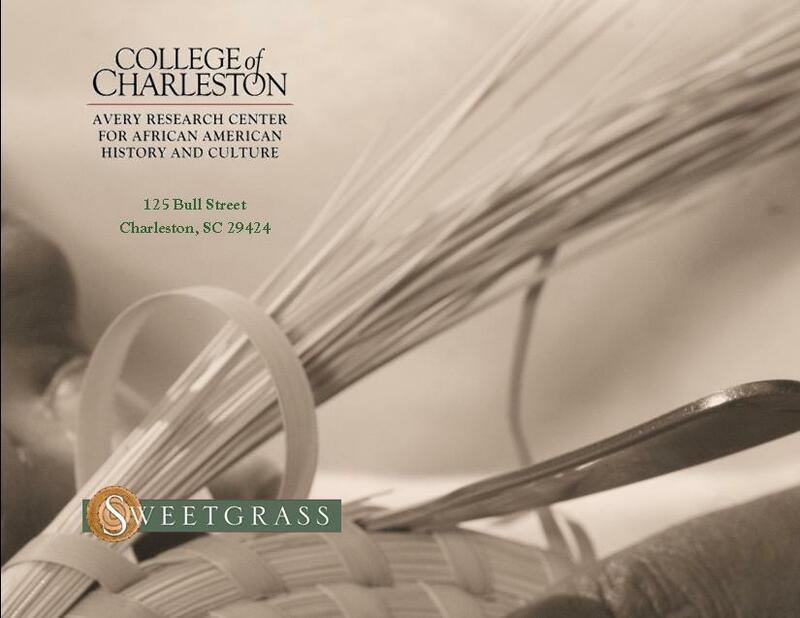 Over the years, the College of Charleston’s Avery Research Center for African American History and Culture has been the recipient of a number of wonderful and interesting African art objects and material culture. For the most part, these respective collections and donations have been utilized by students enrolled in various courses of the academy, which is a delightful and engaging experience. Additionally, a number of the Avery Research Center’s African-related holdings have been included in the Lowcountry Digital Library, which affords the opportunity for increased usage of the collections. In fact, a small number of masks and other artifacts that appears in this physical exhibition, Africa: Masks, Music, and Motion, are an integral part of the Lowcountry Digital Library. This exhibition was an opportune time to share with the community—academic and otherwise—additions to the Avery Research Center holdings, especially masks. 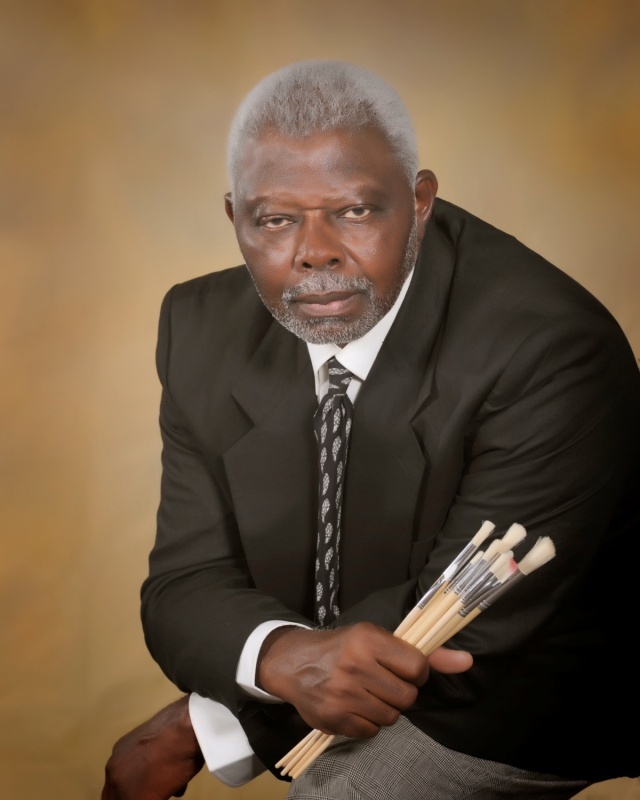 Artist Floyd Gordon’s exhibition featured fourteen original acrylic on canvas works of art. Floyd Gordon has the ability to put his stories in pictures and detail them with such brilliant colors that his artwork adorns galleries, homes, and businesses around the world. The proud son of a Rowesville, South Carolina sharecropper and one of thirteen children, many of Gordon’s “picturestories” go back to his childhood growing up in rural South Carolina. When he was in the seventh grade, Gordon sold his first painting; and since then, his artwork has been collected by the rich and famous, and by the plain and ordinary as well. 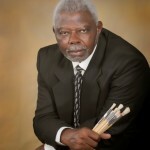 His talent enabled him to attend Claflin University and be mentored by ClaflinUniversity Art Professor Arthur Rose, who Gordon says, taught him more about life than about art. Gordon eventually became one of the school’s most successful graduates and was inducted into the National Black College Alumni Hall of Fame Foundation, an honor he shares with leaders from many walks of life, including the late Reverend Ralph David Abernathy. Sew On, Sew On, and Sew On: Contemporary Quilts and Handmade Objects by Catherine Lamkin, Dorothy Montgomery, Winifred Sanders and Wendell George Brown. UNENSLAVED: Rice Culture Paintings by Jonathan Green is a body of work inspired by Lowcountry rice culture and Green’s involvement with The Lowcountry Rice Culture Project. The exhibition will feature 25 of Green’s original works that highlight the prominence and prevalence of rice and its lasting impact on culture in the South Carolina Lowcountry. The Color in Freedom Experience: An Interactive Journey along the Underground Railroad is a family and youth project that uses Maryland artist Joseph Holston’s 50-piece art exhibition, Color In Freedom: Journey Along The Underground Railroad, and an educational component of age appropriate workshops, training modules, and lesson plans for parents, youth and teachers to address the question: How do we, as families, talk about slavery in the 21st century? Eternal Vigilantes: The Art of Karole Turner Campbell opened on January 17, 2013, and will run through March 31, 2013. The exhibit is featured in the Cox Gallery and the McKinley Washington Auditorium of the Avery Research Center. The show, which consists of 45 pieces – sculptures / bas-relief pieces, drawings and paintings, pays homage to the phenomena of being a vigilante, of preserving and being agents of change. According to artist Karole Turner Campbell, “history is the sum of our existence and the events that occur are shaped by how we respond, our actions and reactions. Freedom is one of our ultimate goals. Once we have attained it, how do we maintain it?” She says Eternal Vigilance was the response offered by 19th-century abolitionist, orator and newspaper publisher Frederick Douglass. It was with Douglass in mind that she prepared this body of work. 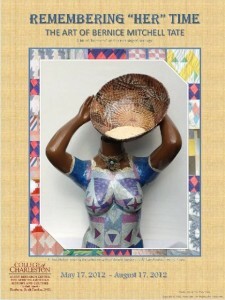 “Remembering Her Time: Herstory and Heritage featured the art of Lowcountry artist Bernice Mitchell Tate. Remembering Her Time was a mixed media exhibition of sculptural collages, mixed media large canvases, authentic (Mitchell family) heirlooms and 19 quilts made by the artist’s mother, Mrs. Veronica Mitchell. The quilts, interwoven throughout the exhibition were juxtaposed with Tate’s works. Using a process she calls “fused continuity”, Tate provides visual evidence of how material culture, in this instance, is transformed into contemporary mixed media works of art. The Avery Research Center hosted “Word, Shout, Song: Lorenzo Dow Turner Connecting Communities through Language”, the world-class exhibition developed by the Smithsonian Institution’s Anacostia Community Museum, in January 2012. This exhibit was a beautiful and thought-provoking assemblage of artifacts, photographs, and text that documents the life and work of Dr. Lorenzo Dow Turner, the first African-American linguist; and examines the visceral interconnections between African diasporan cultures on three continents: the Gullah-Geechee communities of South Carolina and Georgia; the Afro-Brazilian community of Bahia, Brazil; and the West African cultures from which the other two were born. 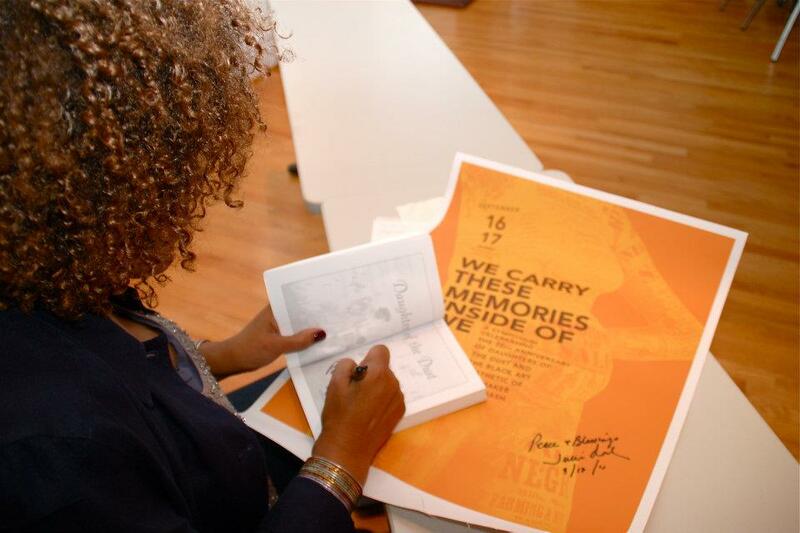 In December 2010, the Avery Research Center sent out a call alerting the academic community and the general public to a major symposium and accompanying juried exhibition to commemorate the twentieth anniversary of Julie Dash’s film Daughters of the Dust. Dash broke through racial and gender boundaries to become the first African-American woman to debut a film with wide release across the country, and her highly artistic film uncovers the history, opulence, and complexity of the South Carolina Gullah-Geechee culture resplendent with African retentions and survivals. As such, the Avery Research Center, in keeping with its mission to collect, preserve, and make public the unique historical and cultural contributions of Lowcountry African Americans, celebrates such a milestone. Among the numerous respondents to the call were these standout artists included in the exhibition who not only reveal the power of historical and cultural forces but also affirm a people’s strength to revisit and conjure memories in order to create, stimulate, and educate. The art in the show skillfully and expertly examine and accentuate the central themes of Julie Dash’s incredible film—the Black Family, Black Female Identity, and Gullah-Geechee culture. The following artists and their work(s) were awarded prizes, Bernice Mitchell–Tate for her work Unspeakable Horrors (sculpture); Deborah Shedrick’ s acrylic on canvas work Daughters; Candice Hunter’s wonderful collage Chlothilde; Laura Gadson’s fabulous quilt, The Sepia Grandmother I Never Knew and special recognition to Adele Sanders for Gullah Diva and Gullah Ladies (fiber). This particular exhibition came on the heels of the very successful Grass Roots: African Origins of an American Art exhibition/project organized by the Museum of African Art, which had been on view at the Gibbes Museum August 2008 through November 2008. In a real sense, the genesis of this exhibition began during the mid-1980s under the tenure of Dr. Myrtle Glascoe, Avery Center’s first director. The founding of the Avery Center in 1985 was preceded by a major conference on sweetgrass three years prior that had been spearheaded by the McKissick Museum and co-sponsored by the Avery Center. Thus this exhibition, which featured baskets and other resources from the Avery Research Center’s Sweetgrass Basket Collection, represented a continuum in the Center’s work as it relates to a vitally important part of the history and culture of this region. Curated by Curtis Franks, Deborah Wright, Sue Jacoby and Leila Potts-Campbell. Curated by Sarah K. Khan and Henry Drewal, Ph.D. This exhibition, part of a major conference, focused on the many contributions Africa has made to the Atlantic world in food, culture and ethno botany. This mix-media group exhibition comprised works that were shaped and informed by the artists’ relationship(s) with food(ways), and their relationship to the land where the food products emanated. Paying homage to one of the most effective Civil Rights organizations in this country, this exhibit used pennants, photographs, post cards, lapel pins, primary and secondary source materials in chronicling the history of the NAACP (National Association for the Advancement of Colored People) on the national level, from its founding in 1909 to contemporary times. Of local interest is the founding of the Charleston Chapter of the NAACP under the leadership of Edward A. Harleston, an Avery graduate. Other noted NAACP leaders within the state of South Carolina include: include J. Arthur Brown, John McCray, Septima Clark and Modjeska Simkins. Curated by the Avery Research Center’s Curtis J. Franks. This exhibition, the result of Fulbright Hays Fellow collaboration between the College of Charleston, Charleston County School District, The South Carolina State Museum, and Trident Technical College, comprised items purchased by the Fulbright fellows while in Guinea and Sierra Leone in 2008, which included artifacts, clothing, material culture, furniture, games, textiles, sculpture, works on paper and cloth, and currency. Curated by Marvin Dulaney, Ph.D., former executive director of the Avery Center and chair of the history department at the College of Charleston. Using artifacts, photographs, primary sources, and secondary materials this exhibit examined Smalls’s life as an enslaved person and his subsequent life as a politician, on the state and national scenes, and finally as the collector of customs in Beaufort, S.C. The exhibition highlighted Smalls’s commandeering of the Planter, which resulted in his liberation from slavery, his service during the Civil War as a major general, and his career as a public servant during Reconstruction. Organized by the New York Historical Society and curated by Joseph Opala. This exhibition tells the story of a ten-year-old enslaved African girl taken from Sierra Leone and brought to Charleston, South Carolina in 1756. Priscilla’s fascinating story is reconstructed using primary source materials that documents her capture in Sierra Leone and continues some seven generations later which concludes with descendants of Priscilla traveling to Sierra Leone. An exhibition in observance of the 40th anniversary of Dr. Martin L. King, Jr. This exhibit contained various images of the iconic Dr. Martin L. King, Jr., from his arrival on the national scene in 1955 during the Montgomery bus boycott to images of his family after his assassination in 1968. This exhibit included a number of now-defunct publications, such as Freedomways, Sepia, Liberator, and Emerge.